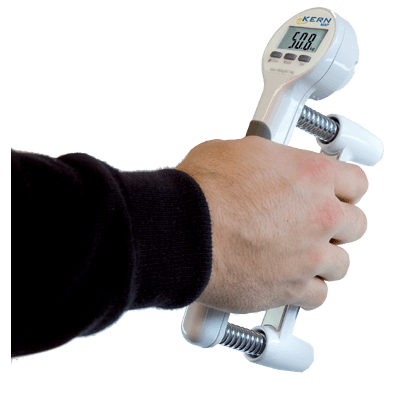 Product information "Hand grip dynamometer K-MAP"
This hand dynamometer allows an accurate measurement of hand strength.The hand-held power meter is ideal for measuring the gripping force of the hand in clinical use and rehabilitation treatments after accidents. The hand dynamometer finds its use in rehabilitation clinics, and rehabilitation centers. Also in fitness centers the hand dynamometer may be used to controll the increase in power. In the context of a rehabilitation program, this device allows the medical staff to check and determine the compressive strength, the state of fitness of a patient's hand to train them controlled. It comes with additional spring sets for 20 kg and 40 kg. The capacity can be quickly changed with the springs. 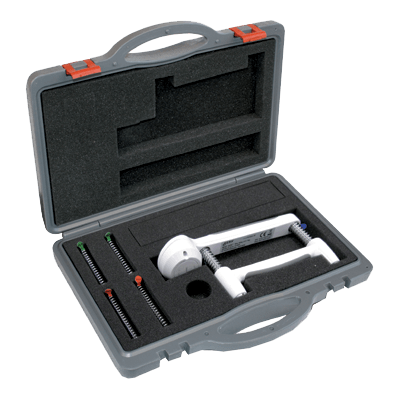 Furthermore, there is a firm case included for safe and easy transport of additional spring sets. The non-slip rubber handles ensure a secure application. 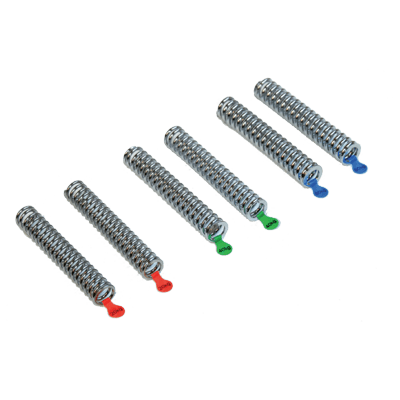 The interchangeable springs allow the setting of different degrees of hardness for different patient groups. 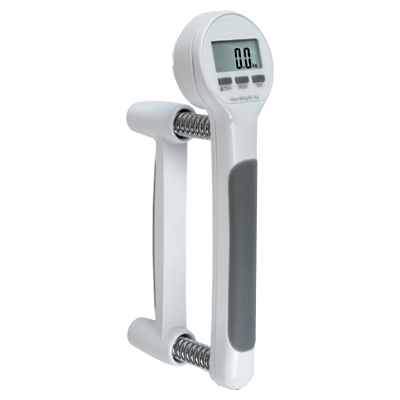 The hand dynamometer is easy to use, handy and practical in daily use. This hand dynamometer for force measurement indicates the maximum force of a grab and provides information about the average mode to calculate the average power from two simple grabs. So optimized average values are reached. 1. Real-time mode- the dynamometer immediately determines the applied force of the patient or athlete. 2. Peak-mode (PEAK) - the hand dynamometer shows the peak value even after the force measurement. 3. Average-mode: hand dynamometer calculates the average of the two grabs. 4. Count mode: Counts the number of the pressing operations exceed a preset limit. Dynamometer to measure the hand strength. Related links to "Hand grip dynamometer K-MAP"